(Natural News) Trillion-dollar multinational corporation Apple is proud about its recent decision to remove all Alex Jones-related content from its iTunes and podcasting apps – and so are many leftist “journalists” who are now openly celebrating the complete destruction of free speech and the First Amendment. In a recent statement, Apple stated that it will “not tolerate hate speech” on any of its platforms – hate speech, of course, referring to anything with which liberals disagree. 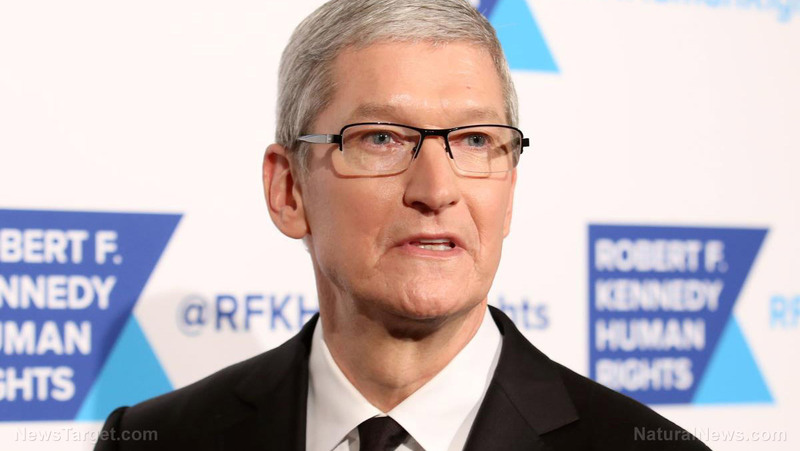 The corporate behemoth, run by LGBT mafia kingpin Tim Cook, also admitted that it plans to remove other content that triggers leftists in the future. “…we have clear guidelines that creators and developers must follow to ensure we provide a safe environment for all of our users,” an Apple spokesperson stated in response to outrage over its draconian actions. After reiterating Apple’s Orwellian actions against Alex Jones on Twitter, BuzzFeed News received plenty of responses of support from lunatic liberals who praised the decision as a positive step in the right direction. “Now, how do we get fox ‘news’ off Comcast and DirecTV?” asked one leftist Twitter user, obviously supportive of censoring free speech that bothers him. “Only a few years later than it should have happened. But yeah…this needs to happen,” tweeted another crazy leftist in opposition to the First Amendment. Remember when the Left used to oppose capitalist corporations for censoring free speech? Ironically enough, these same leftist retards have been screaming and crying about “OMG my fascism!” ever since Donald Trump was elected president – even though absolutely none of their verbal diarrhea against the president in any way matches reality. Every single one of these ignoramuses still has their free speech rights – but depriving non-leftists of theirs, a key tenet of real-life fascism, is a-okay so long as it doesn’t affect liberals. Even more ironic is the fact that the leftists of old would have been diametrically opposed to multinational corporations censoring free speech – because in the past, it threatened their free speech. But not that it’s folks on the right who are being silenced, leftists are shifting their tune in full support of Orwellian, 1984-esque censorship and control over what people say and do. “Gone are the days of leftists hating on corporations and warning of a dystopian future world run by global capitalists and in are the days of leftists cheering a dystopian present where global capitalists shut down all speech they disagree with to crush a middle class revolt,” writes Chris Menahan for InformationLiberation.com. It just goes to show that the Left is comprised of nothing more than deranged, childish, groupthink drones who are completely consumed with a “me, Me, ME!” mentality. It’s all love and tolerance, just so long as I don’t have to be offended by anyone else’s viewpoints, is basically the liberal narrative of today – hence why we’re now in a position where conservatives are being openly censored and persecuted by liberal tyrants. Mike Adams, the Health Ranger, discusses this in a new video published to the Brighteon.com platform, explaining how leftists are completely destroying “due process” and other constitutional provisions that are meant to protect all forms of free speech. “You can be de-platformed, censored, smeared, slandered and have your entire reputation and business utterly destroyed based entirely on rumors and lies backed up by extreme censorship to silence your dissent,” Adams writes.